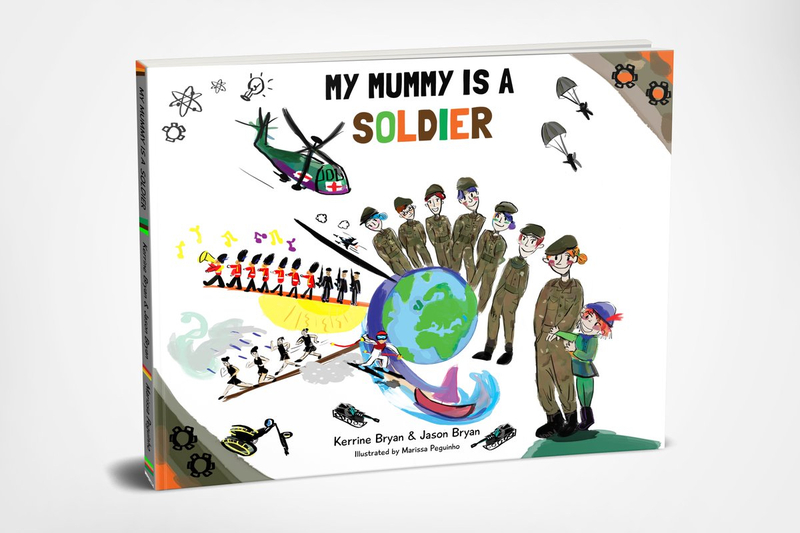 This month (March 2019), we worked on the launch of a very special children’s book that has big ambitions: to break gender stereotypes about the jobs females do in traditionally male-dominated industries and to push some very pertinent messages to children – that the world is their oyster; that they can pursue ambitions and understand that gender needn’t be a barrier to progression; that they may discard negative conceptions that say: ‘that’s not for girls’ or, indeed, ‘that’s not for boys’. Kerrine Bryan is an award winning electrical engineer, STEM ambassador and the co-founder and face of independent publishing house, Butterfly Books. Bryan herself is a great role model, having broken many class ceilings. She is black, working class, brought up by her mother and grandparents in Birmingham, and was once discouraged from going to university but became the first in her family to pursue higher education to succeed in her field. 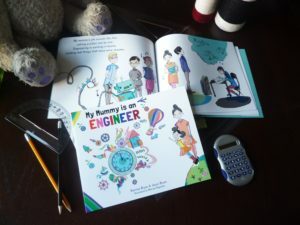 It was when she was acting as a STEM ambassador, volunteering to do talks about her job across the country to children in schools that she discovered how misconceptions about the profession of engineering had already been set in the minds of children aged 12 and above – misconceptions of which she believed to be partly responsible for the lack of gender diversity in typically male dominated professions, not just engineering. She thus began writing children’s books as a means of addressing these misconceptions and instilling the idea in children that they can be whatever they want to be … gender shouldn’t be a deterrent for pursuing dreams. My Mummy Is A Scientist, My Mummy Is An Engineer, My Mummy Is A Plumber all serve this purpose, articulating this through pictures and rhyme to capture the imagination of 4 to 7 year olds, before such misconceptions set in. 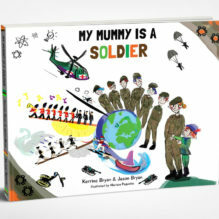 Launched a few days before International Women’s Day 2019, My Mummy Is A Soldier is the fifth book in the series and a collaboration with the British Army that showcases the diversity of careers females undertake within the organisation – everything from medic to dog handler, lawyer to pilot. 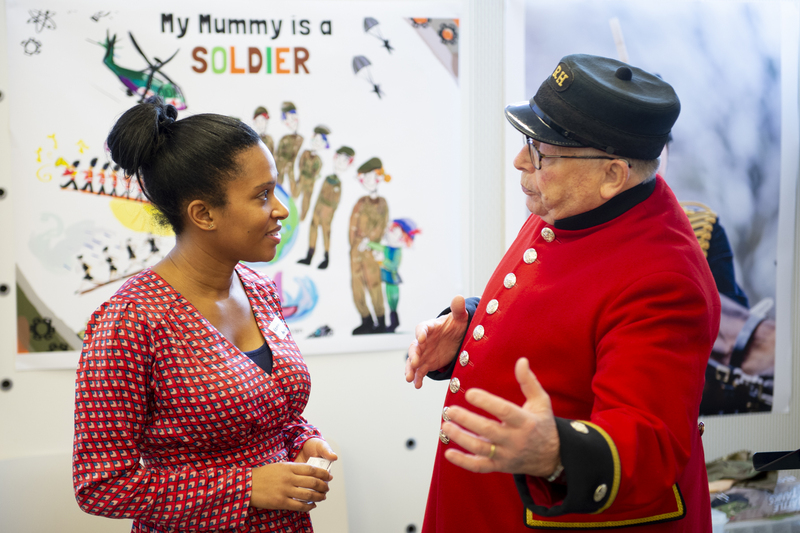 “Since the integration of women into the Regular and Army Reserve, there has been an increase in their number across the broad range of trades, skills and professions in the Army. 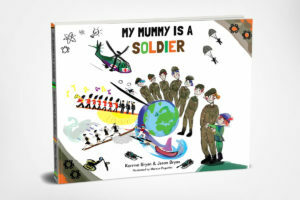 We have senior female soldiers and officers who have had long and exemplary careers in the Army serving both at home and overseas in all types of operations from war-fighting to humanitarian relief. They have won medals for their bravery and worked alongside their male counterparts in the same conditions, with the same equipment, in the same locations. 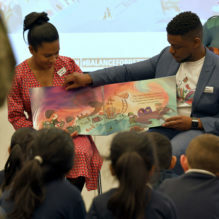 Doing the PR for this campaign has been quite a special experience; not only because it put us in touch with real everyday heroes from every walk of life but, at launch, during a book reading, we were able to see just how engaged children from the local primary school were with some of the jobs women undertook in the Army. They asked lots of questions, played with instruments, dressed up in fatigues and sat in the Army bobsleigh. There was curiosity, wonderment, fun. These elements can often be lacking in education, where there is a definite need to inspire – especially in disciplines (like Maths) where take-up of study at higher levels is drastically waning. What does that spell for the future of UK innovation? Only time will tell. Kerrine Bryan and Lieut. 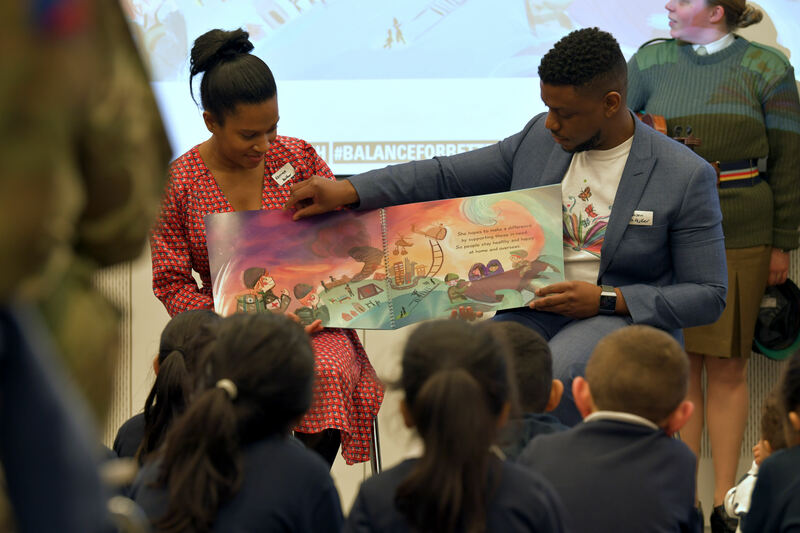 Col. Taylor were featured in the Financial Times for the initiative, with further appearances on BBC World TV and BBC World Service Radio, while BFBS filmed at the launch. Where Brexit and the Michael Jackson documentary was cannibalising news of the very kind that needs to inspire during these despairing times, it was good to get a piece of the ever shifting news agenda. PR can, in many respects, can at times be a thankless profession. Working with truly likeable brands with inspirational entrepreneurs at the helm of a venture with a true social purpose, can make all the difference in feeling that you are, in some way, contributing to helping the world become a slightly better place.